The editors of SROMS would like to welcome you to our new website, and to thank you for your patience as our website underwent critical renovations in 2016 to ensure our ability to offer you digital publications of our familiar literature reviews in a more timely and consistent manner. Many of you are familiar with SROMS, which was published in hard copy for over twenty years. 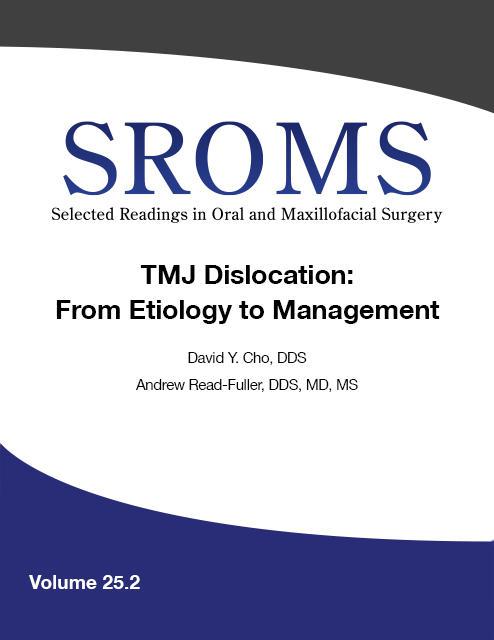 Transitioning from a printed publication to a web-based product over the last few years has presented its challenges; however, our intent continues to be to provide, at a reduced cost, timely subject matter, with color illustrations, written and reviewed by authors known for their expertise in oral and maxillofacial surgery. An important change to note is that our publication and membership year will return to a standard January through December timeframe. Subscriptions will include the current Volume year plus all previous volumes back through Volume 11, 2003. We finalize 2016 with the publication of Volume 23.5, “Implants in Compromised Sites” authored by Drs. Bach Le and Eric Kim. 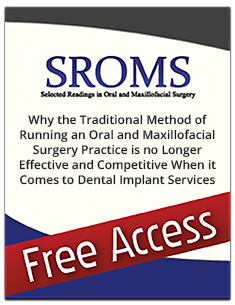 The 2017 publication year launches Volume 24 comprising of four issues with the first, “Posterior Immediate Implant Placement Simultaneous Crestal Approach Maxillary Sinus Bone Graft and Flapless Extraction,” by Dr. Jone Kim, to be released in March, 2017. Your membership and participation allows you access to the majority of our past SROMS issues and their bibliographies. Our editors, who are experts in the field, will attest to the validity of SROMS. Please use our newly built website to access editor biographies, past publications, and proposed topics for 2017. Sign up information is available so you can share in the exciting resources offered. The editors and I welcome you to our new vision for SROMS. Numb Tongue, Numb Lip, Numb Chin: What to Do When?